The cases are drawing interest since the justices have not recently taken up disputes over libel and defamation, a part of First Amendment doctrine that is well-settled. 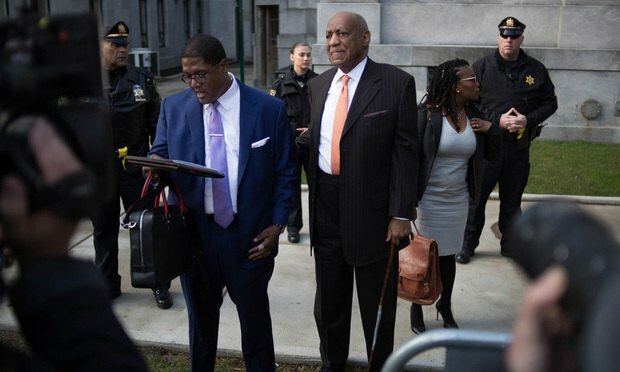 Comedian Bill Cosby and spokesman Andrew Wyatt arrive for the second day of Cosby’s sexual assault retrial at the Montgomery County Courthouse in Norristown, Pennsylvania, April 10, 2018. Photo: Michael Candelori/Shutterstock.com. Lawsuits involving disgraced comedian Bill Cosby and the statements his lawyers made in his defense are now before the U.S. Supreme Court, raising significant issues about lawyers’ free speech rights as well as defamation and libel law.